I'm usually not one to spend a whole lot of time on things like centrepieces. Hurricane vase, coffee beans and a candle. Easy peasy. But when it came to redesigning our formal dining room, I wanted to have one centrepiece that would be classic and chic, and would transition well no matter the season or event that we are hosting. I love the look of fresh flowers, but to get new ones every single week...well...it's just not realistic with a toddler running around and another one on the way. 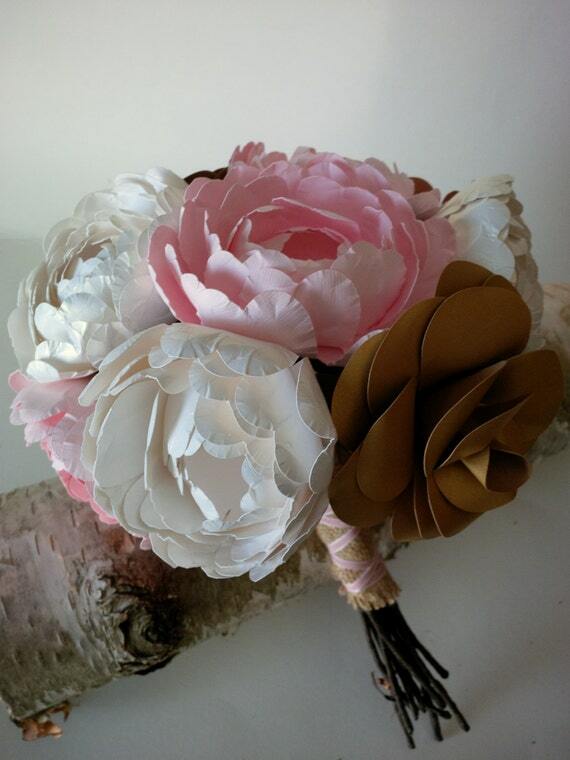 I knew that it was time to order some gorgeous paper flowers from 2Clvr 4 U Designs. 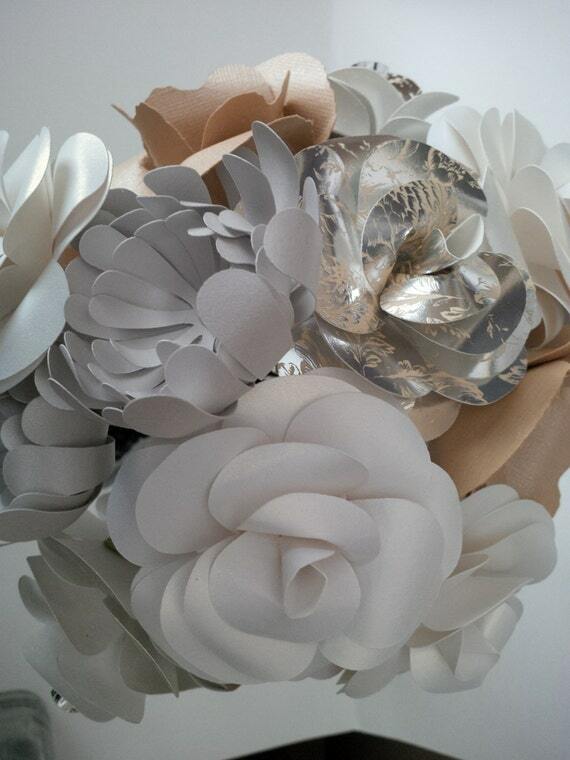 So...I'm thinking a shallow brushed metal bowl, filled with white peonies and roses. Simple, but full of texture and dimension. Now to find the perfect bowl!